There are several important events happening in our school this month that I’d like to share with you. KEYS: We will be converting our building security from traditional keys to key cards for the exterior doors. This will provide significantly more security as well as ease for others who use the school after hours (Stowe Rec., sports teams, etc.). The main entrance will continue to be the only access point for parents, and we will ask you to sign in and out and wear a Visitors Pass when you are in the school. SECURITY DRILL: We will continue building our skills and confidence with Security Drills this month. We are following a gradual progression for integrating recommended strategies into our repertoire of techniques for following the ALICE protocol in response to an emergency. All school personnel have had training in ALICE strategies and we have ongoing support from the Stowe Police Department as we maintain a safe and healthy learning environment for children. STUDENT-LED CONFERENCES: Families will have an opportunity to participate in Student-Led Conferences on March 21. * Student-led conferences are an important part of helping children take ownership of their learning. This level of personalization has a strong positive impact upon students, both in and out of school. If you’d like to learn more about proficiency-based learning and connections to personalization, please visit our website at this link: The Road to Proficiency? Thank you for your support, as we learn and grow together as a school community! *As always, if this date does not work for your family, please contact your child’s teacher to make an appointment at an alternate time. Your child will attend the conference to share his/her learning. Our next Community Meeting will be on Friday, March 29, at 8:20 AM. The main presenter will be Kathryn Joy's second grade class and the Parent Pop Quiz will be hosted by Jenny Harper's Fourth Graders. All are welcome to join us! All third grade students are participating in the MiniREAL Program. REAL stands for Rural Entrepreneurship through Action Learning. Students learn about entrepreneurship through a simulation that includes all aspects of starting a small business. They have applied for MiniREAL loans and are working towards repaying their startup costs, making rent payments, paying their employees and paying both personal and business taxes. All transactions are in MiniREAL dollars. $1.00 US = $10.00 MiniREAl. Grade 1 with Unified Arts Teachers: Friday, April 5 (Yes, we know this is also Jump Rope for Heart, bring on all the fun)! The PTO is hosting a Multicultural Potluck on Tuesday, March 19 from 5:30-7:30 pm. We are encouraging families to bring a dish that represents their family’s culture. Favorites from previous Multicultural Potlucks have included samosas, sushi, rice and beans, spaghetti, lasagna, slow cooker meals, and burritos. Please bring serving utensils and list ingredients so the entire community can learn more about the food. Your dish should be enough for 10-12 people. Dessert, drinks, and entertainment will be provided. We would like everyone who is interested to be able to attend. If you are not able to bring a potluck dish to the event, you can make a donation to the SES Office to help the PTO with food and supplies for the event or bring a dish from one of the local restaurants. We hope your family can join us for this fun, delicious community event! Our PTO is creating a custom cookbook featuring favorite recipes from our school community. These cookbooks will be professionally published and are sure to be a treasured keepsake for us all. Money raised will be used for PTO/School events. 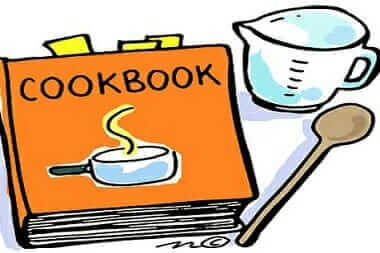 Please submit a few of your favorite recipes so you can be represented in our cookbook. Many recipes from all members will ensure that our cookbook is a success. We are using the Morris Press Cookbook’s web site to easily submit recipes online. If you do not have Internet access, our committee can enter them for you. Submit hard copies of your recipes to Mary Karen Crawford @ SES front office. Please submit your recipes online by March 26th so we can meet our deadline in time for Mother’s Day! Additional comments about the recipe (history, nutritional data, suggested uses, etc.) are not allowed unless a “Recipe Note” field is visible. Enter extra recipe content in that field. The TRIP Dance Company will be presenting its annual fundraiser at the Spruce Peak Performing Arts Center on March 22nd at 7:00 pm & March 23rd at 3:00 pm. TRIP is a non-profit competitive youth dance company associated with the Stowe/Mad River Dance Academy. Don’t miss seeing local dancers perform their award-winning dances! Tickets can be purchased in advance directly through the Spruce Peak Performing Arts Center at WWW.SPRUCEPEAKARTS.ORG or 802-760-4634. If you can’t make it to the performance, please consider donating to TRIP Dance Company by emailing: [email protected]. An ensemble from TRIP will be performing at Community Meeting on Friday, March 15th! to begin the registration process. The indoor season for U11, U13 ad U15 Boys & Girls will kick off at Stowe Arena (turf) on April 1. The outdoor season for Kindergarten, 1st & 2nd graders will kick off the first week in May (as soon as the fields are ready!). We are a 100% Volunteer Run, Not for Profit Program. and Supporting Volunteers & Board Members. Interested in volunteering as a coach or team manager for our 2019 season?